Are Podcasts Taking Over TV? After finishing Homecoming on Amazon Prime, Mrs. Buckler and I jumped into Bravo’s Dirty John. (Yes, I realize that Bravo isn’t exactly streaming, but I’m making a broader point here.) So, what do these two series have in common? Both started out as podcasts before becoming a TV series. The popularity of these podcasts made it easy for both networks to greenlight each for TV. Going forward, I believe we’ll see many more new movies and TV series based off successful podcasts. Last week, I raved about Amazon Prime’s Homecoming and how mysterious it was. During my research on the show, I discovered that it first saw life as a podcast. It was the first fictional podcast of its creators, Gimlet Media. The show starred Catherine Keener (Kidding), David Schwimmer (Friends), and Oscar Isaac (Star Wars: Episode IX). The Homecoming podcast plays just like the TV version, except that it’s all audio. It’s very entertaining, though. The Homecoming podcast launched its first season in November 2016, and its second season began on July 19, 2017. Rumor has it that we’ll be getting a second season of Homecoming on Amazon Prime. It will pick up where the first left off, and will bring back Julia Roberts, Shea Whigham, and Stephan James. Hopefully, the second season will see that the dangerous Geist Corporation and the Homecoming Transitional Support Center face the justice it deserves. The Dirty John podcast is quite different than the Bravo series of the same name. Yes, the program deals with the same subject matter – John Meehan’s strange and abusive relationship with Debra Newell. The podcast version is an investigative journalism podcast hosted by Christopher Goffard, the LA Times journalist who broke the original story. The podcast also features interviews with Debra Newell, Terra Newell, and others involved in this strange case. If you started watching Dirty John on Bravo, I recommend you finish the TV series first. Listening to the podcast is like reading a book that a popular movie is based upon. It’s always better to do after you see the movie. The podcast will give you so many more details that the TV series probably won’t have time to cover. Admittedly, I “cheated” by listening to the podcast after only having seen the first episode of the show, but I’m all about that research for this blog. Homecoming continues to be a popular show on Amazon Prime, and by all accounts, Dirty John will be a hit on Bravo. Other podcasts-turned-TV series haven’t been so fortunate. Take the podcast StartUp, featuring Alex Blumberg, formerly of NPR. The podcast was hosted by Blumberg and featured documentary-style storytelling about his experiences launching his company, Gimlet Media. The success of StartUp inspired its own TV series. Some of you might remember the ill-fated Alex, Inc. on ABC. The show was a fictionalized version of Alex Blumberg’s efforts to start his own company. It starred Zach Braff (Scrubs) as Alex Schuman, a radio journalist who quits his job to follow his dream. The series was cancelled after its first season due to low ratings. Ironically, Alex Blumberg’s Gimlet Media produced the Homecoming podcast. So, Are Podcasts Really Taking Over TV? Well, I wouldn’t go that far. Look, I’m not saying that all or even most hit TV shows will start as podcasts. I believe some of them will, especially if Homecoming and Dirty John are huge hits. I’m not entirely sure that will be the case with Homecoming, though. It’s a dark psychological thriller, and those tend to appeal to a fairly fixed audience that goes for that sort of thing. (I’m a proud member of that group.) The show is also set for just two seasons, so I doubt it will have the enduring appeal that a longer-running series would have. In my opinion, Dirty John has the potential to be a big hit. It’s based on a headline-grabbing true crime story. It also has a particular appeal to women due to its subject matter. (A dangerous con man with a dark past sweet-talks his way into a lonely woman’s life with disastrous results.) Given this appeal, Dirty John has found a great home at Bravo, which is targeted toward 25-54 year-old women. In short, it’s a winner that could inspire more series that started life as a podcast. If podcast-inspired movies and themes becomes a thing, it will benefit streamers. There are many amateur writers who get discouraged by the traditional ways of selling their scripts. (Take it from me, it’s brutal!) Now, they can turn their intellectual property into entertaining podcasts. This gives them more bargaining power when trying to sell their idea. It’s a win-win for content creators and streamers. It could also be a boon for electronic retailers who sell streaming devices. Each week, I talk about some of the hottest shows in streaming. Sometimes these are movies, other times they are TV series, but the programs have one thing in common: they are compelling. (In my humble opinion, of course.) Because I want you to enjoy these and other shows, I often recommend the DISH AirTV Player. 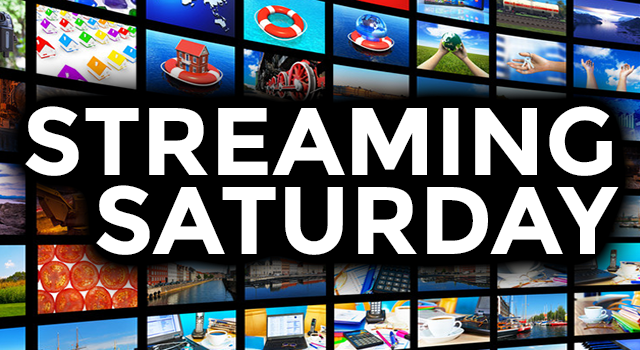 It’s a great way to stream many of the exciting shows plus so much more great programming. The AirTV Player combines free local TV channels and national channels with the pay channels and streaming services you want to add. To get all this, you need to get the streaming device with the Sling TV package and a TV antenna. This will put most or all your local TV stations onto the same, convenient menu as your national channels. Then you can add Amazon Prime, Netflix, and/or any other streaming service you want. When you’re away from home, your AirTV Player cast these shows (including the locals) to your phone or other device! If you’re interested in the AirTV Player (and you should be), Solid Signal is the best place to get it from. As a DISH Preferred Dealer, our staff can answer all your questions about this amazing streaming device, and they’ll also match you with the best TV antenna for your market. (Those channels are out there for free so there’s no reason why you shouldn’t have them!) If you’d like to know more about DISH’s AirTV Player, give our team a call at 877.312.4547.